What is your favorite book you’ve read this year? How can you even decide? 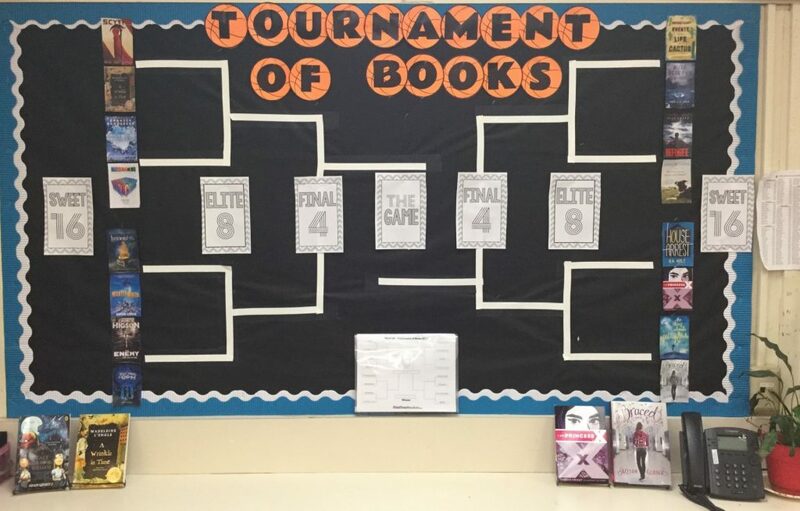 In honor of the NCAA basketball tournament, our LA class is starting our own “March Madness” Tournament of Books! 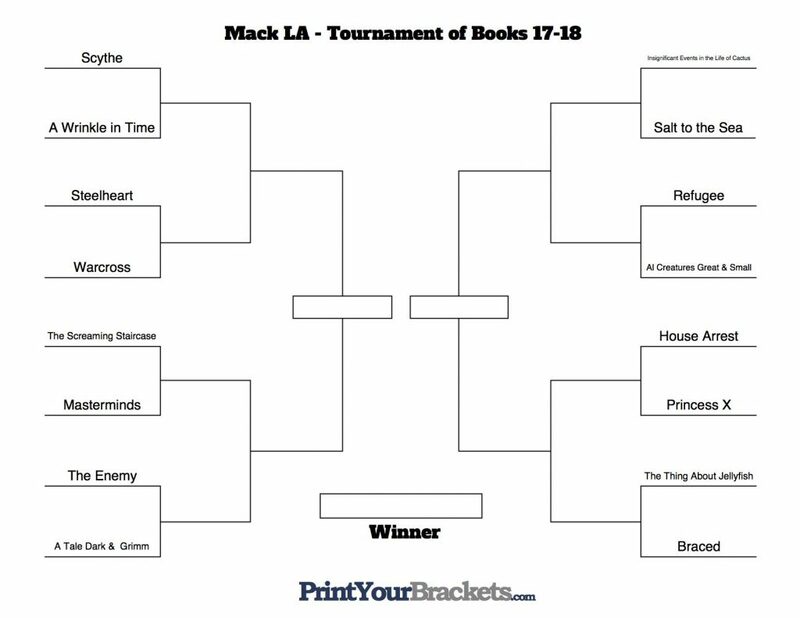 Which novel will be our class favorite? What is your favorite book you’ve read this year? Thanks to FABULOUS 5th-grade teachers at my school, Mrs. Goldstein and Mrs. Parry, for the great idea! Thanks to the Brown Bag Teacher for the FREE printable signs!